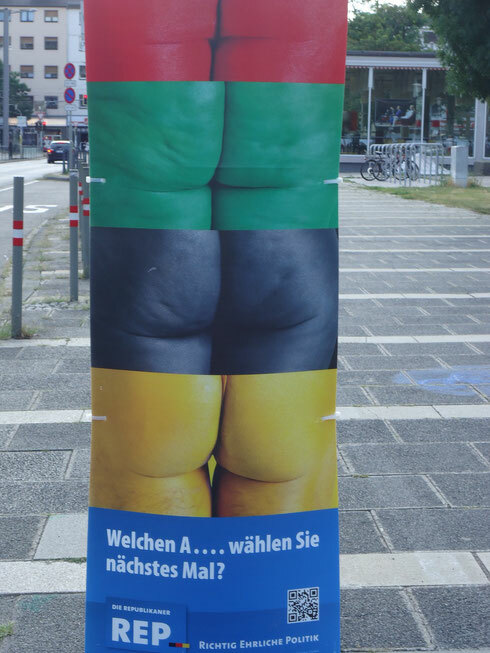 My eyes almost popped out when I recently came across this campaign poster from Germany's right extremist party ' Die Republikaner' best known for their hate for anything or anyone who is not German. The different colors represent the different parties. Red is for the social democrats, black is for Angela Merkel's Christian democrats, green is for the environmentally inspired and yellow is for the liberal democrats. And I thought I was the only one who found those ads wierd. As in, who is their PR manager??? What's up everyone, it's my first go to see at this site, and paragraph is genuinely fruitful for me, keep up posting these articles.